One of my favourite toys, when I was a child, was a Weeble – it wobbled but it wouldn’t fall down. So imagine my delight when I found out that the new ‘fidget’ toy that has taken Japan by storm and goes on sale in the UK from today, also stands upright every time you push it over … however you can actually lie this toy down flat too. So what is this new toy? MOKURU is a Japanese balance toy that tests the concentration and hand-eye coordination skills for individuals of all ages. Fidget toys were originally created for children with SEN such as sensory and concentration issues, encouraging the use of fine motor skills, but have become mainstream with 'crazes' taking over school playgrounds, work cafeterias and homes across the country in recent months. Described as a desk toy, it's a gadget that aims to keep hands busy & minds restful. It has a simple design. 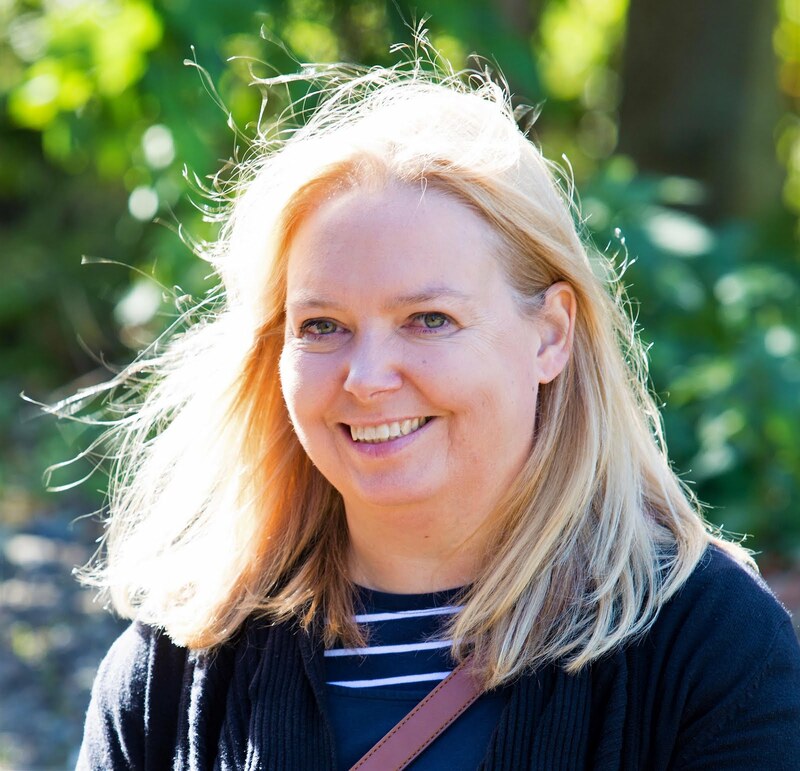 It’s a short (less than 10cm long) cylindrical toy, not much bigger than a lipstick or packet of sweets, made from beech wood that you can flip, roll and do tricks with. What do I do with MOKURU? It's a skill toy, and you play with it. It’s designed to automatically flip upright every time it tips over, so you can flip it from one hand to the other while travelling the entire width of the desk. Beginners can simply tip over the toy, let it flip and catch it with their fingers. See how we got on here. Why would I want MOKURU? You can play alone or with friends. It's small enough to fit into a pocket and it not only tests your creativity and dexterity but playing with it for a few minutes every day could help improve your focus and hand-eye coordination. Are all MOKURU the same? Always the same length and weight it comes in 7 different colours. Black (Genbu), Green (Matcha), Orange (Kirin), White (Byakko), Red (Suzaku), Blue (Seiryu) and Yellow (Inazuma). Where can I buy MOKURU? MOKURU is available from AMAZON and SMYTHS. As ever there are lots of fakes available but only MOKURU is the real one which has been designed and engineered to ensure perfect balance and is made from good quality materials. I wouldn't want to spend all day playing with a MOKURU, but strangely it is very therapeutic. Me and the boys have played a few times already and we've got quite competitive over who can do the most flips. They can't wait to take their one into school. Don't flip it too hard - I don't know what makes it work but it's not just down to how hard you flip. Use a hard surface. A desk or wooden floor is ideal - it's not so good on soft furnishings or carpet. Experiment. There are video's of tricks that you can watch - but sometimes it's more fun to make up your own. Don't give up. It can take a while to get the hang of it. But strangely addictive at the same time. 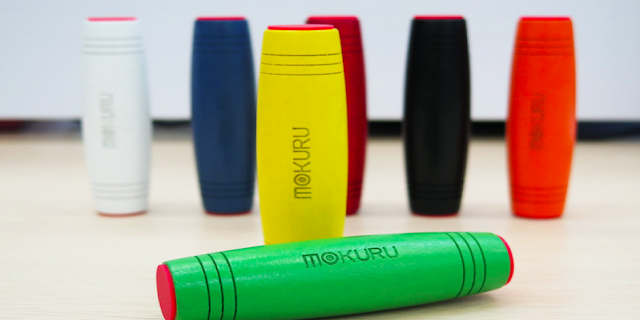 Based in Tokyo Japan, MOKURU designs products that test the focus and balance skills of individuals and takes great pride in offering players an affordable product that's ideal and fun in any situation. 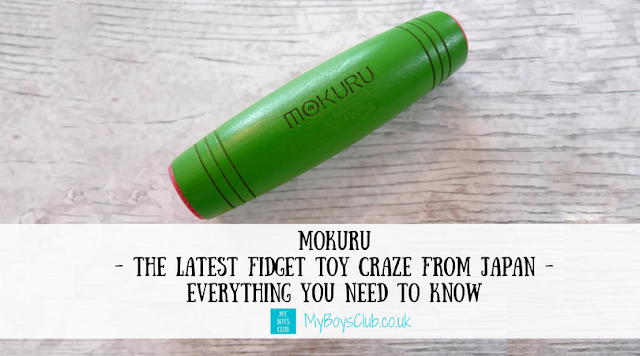 Disclosure: We received one MOKURU toy prior to the UK launch for the purposes of a review. This review includes affiliate links. I had a brief obsession with the fidget craze - I had to stop for my own sanity! Ha!